Whenever you launch Microsoft Word, it will show a start screen that looks something like the below one. In fact, the start screen appears on all Microsoft Office applications like Word, Exel, PowerPoint, etc.., Generally, the start screen hides the background loading and looks good, for the most part. If the load times are faster, you will only see the start screen for a split second. However, if you don't like the start screen or want Word to open directly to the document template page or a working document, you can easily disable Word start screen. Skipping the start screen also makes you feel that the Word is opening a bit faster. 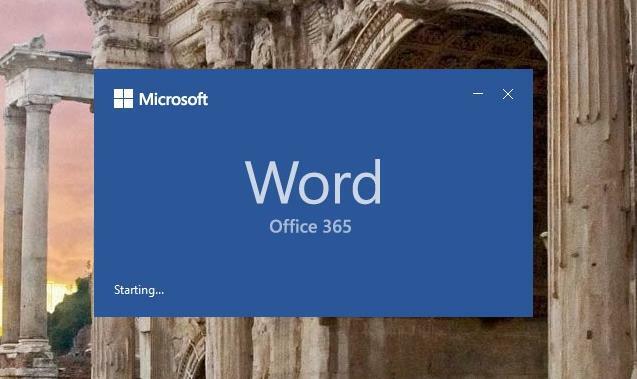 Without further ado, let me show you how to skip start screen in Microsoft Word 2016, 2019, 365. 1. First off, if you haven't already, open Microsoft Word by searching for it in the start menu. Alternatively, click on the Word icon on the taskbar, if you've pinned it there. 2. 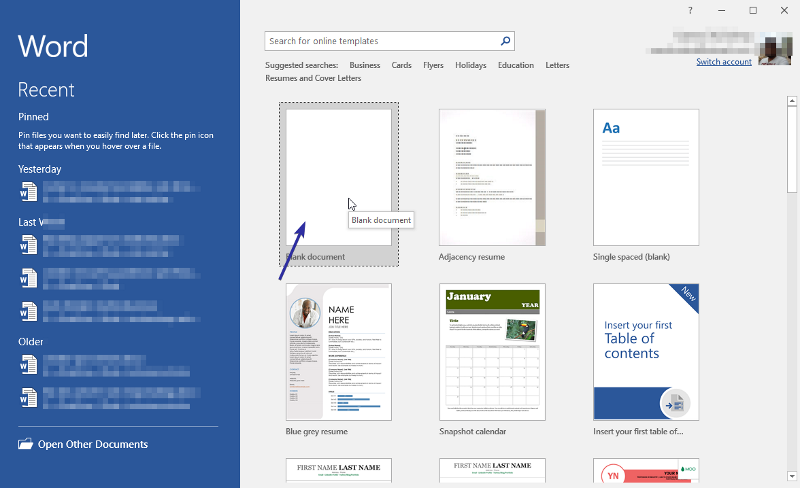 By default, Word will show default templates on the home screen to choose from. 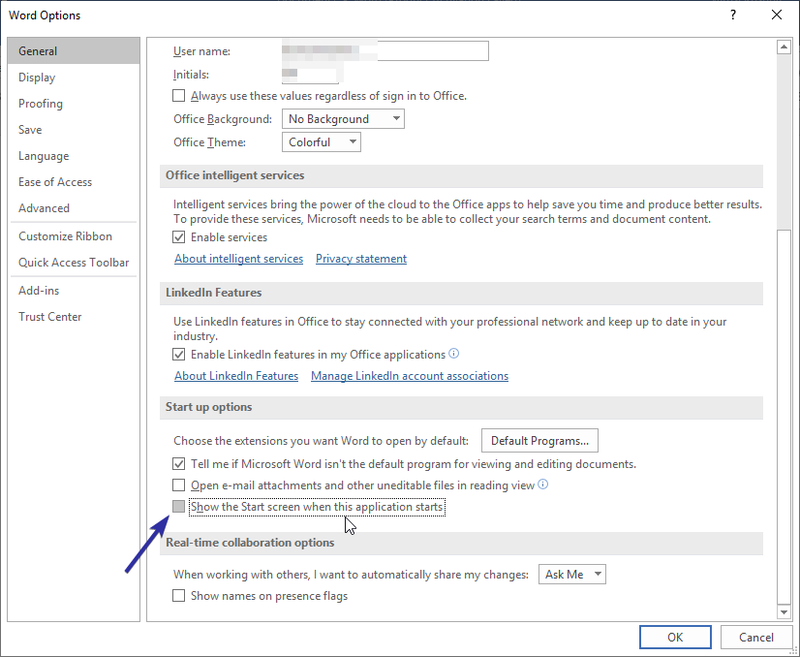 Unless you select a document, you will not be able to access the Word options from where you can disable the Word start screen. So, select "Blank Document." If your Word program already opened a previous document for you, you can ignore select the "Blank Document" step. 3. Now, click on the "File" option in the top navigation menu. 4. 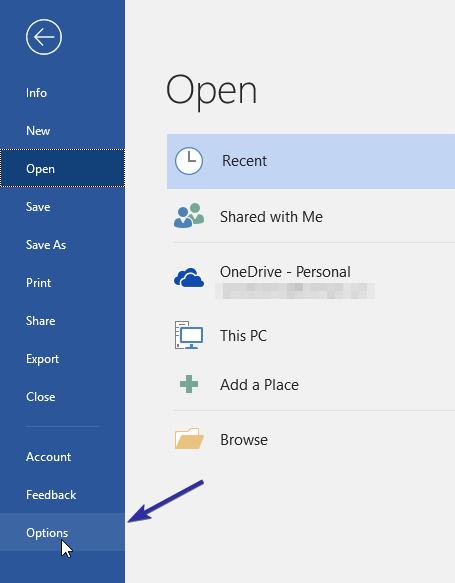 The above action will open the File options page. Here, find the "Options" option on the left panel and click on it. 5. As soon as you click on the option, the settings window will open. Here, select "General" option in the left panel, scroll down in the right panel and uncheck the "Show the start screen when this application starts" checkbox under Startup Options section. Click on the "Ok" button to save the changes. 6. That is all. Close the Word program. From this point, Microsoft Word will not show the start screen and opens the document or document selection screen directly. If you ever want to see the Word start screen again, select the "Show the start screen when this application starts" checkbox in step 5 and you are good to go. If you like this article, do check out how to hide files using attrib command and how to password protect folders without using any third-party software.